Application of PID Temperature Controller AI-708P in the Reform of Single Crystal Furnace Equipment - 17 Huo Ju Lu, Huli Qu, Xiamen Shi, Fujian Sheng, China, 361006 - Xiamen Yudian Automation Technology Co., Ltd. 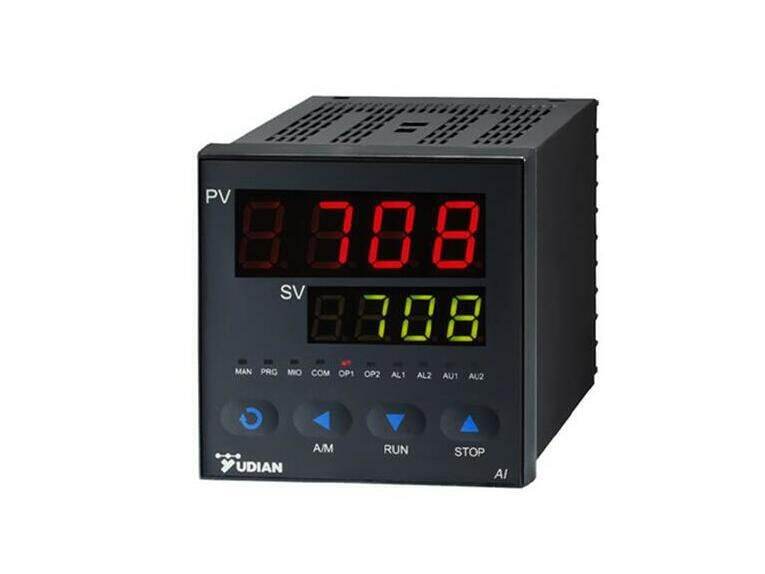 Stand: Xiamen Yudian Automation Technology Co., Ltd. In 1995, our company purchased a cadmium telluride single crystal furnace from Ukraine. 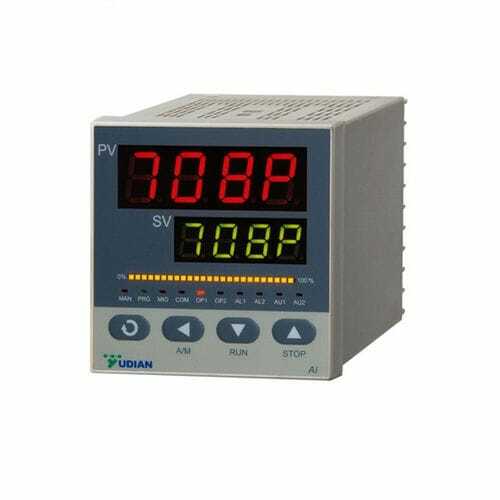 The temperature controller used in the single crystal furnace equipment is a meter composed of many discrete components. The circuit is complicated and has many faults, which often affects the operation of the equipment. In 1998, we decided to renovate this single crystal furnace equipment and replace the Ukrainian non-standard instrument with the AI-708P standard controller. Through the investigation, we decided to replace the Ukrainian instrument with the Yudian AI-708P instrument or the British Continental 818 instrument. At that time, in the domestic single-crystal furnace equipment, the European 818 instrument was used. In other words, it is no problem to replace the Ukrainian instrument with the Euro 818 meter. Because the price of continental instruments is expensive, I want to use domestic instruments instead of foreign instruments. I analyzed the performance of the AI-708P meter and compared the performance and price of the AI-708P meter and the Continental 818 meter. Firstly, it is proposed whether the A1-708P instrument can meet the process requirements of the cadmium telluride single crystal furnace. The mercury cadmium telluride crystal is the material required for the infrared device. The growth process of the crystal is about 30 days, and the length of the crystal growth time is determined by the process. 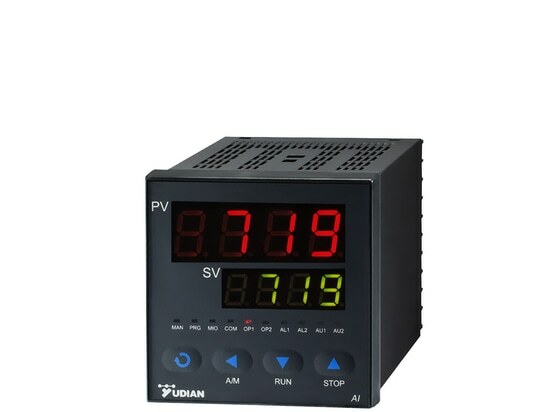 The setting time of the AI-708P meter is 9999 minutes, about 7 days; the time of the Euro 818 meter is set to 999.9 hours (minutes), about 42 days. Although the time setting of the AI--708P is not enough for 30 days, the AI-708P has 30 programs. If you fully utilize the 30-segment program function, you can meet the 30-day time requirement. In addition, the highest display temperature and lowest temperature resolution of the AI-708P meter can meet the process requirements. Although the Continental 818 has many features, it is expensive. The price of each Euro 818 meter is 7,000 yuan, while the price of AI-708P is 1200 yuan per unit. Obviously, the performance price ratio of AI-708P is high. In 1998, Yuguang (formerly known as Yudian) was first exposed, but its popularity was not high. People lacked understanding of the field application of AI-708P instruments. At the beginning of 1998, I went to the Xiamen Yuguang Research Institute to participate in an academic exchange meeting. I saw that the Yuguang Institute had a spirit of hard work. After returning to Beijing, I will work on replacing Ukrainian instruments with AI-708P meters. The equipment transformation work was relatively smooth, and the task was completed shortly. After years of equipment operation test, it proves that the AI-708P instrument has reliable performance and can fully meet the process requirements of the cadmium telluride single crystal furnace. 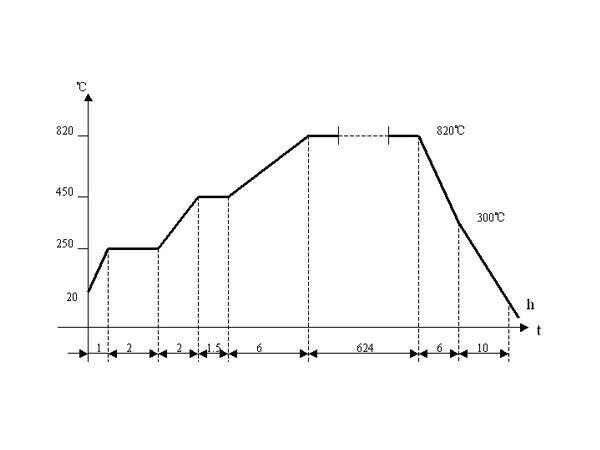 The temperature programming of the AI-708P instrument is now listed below, and the temperature control circuit diagram of the single crystal furnace is attached for reference. 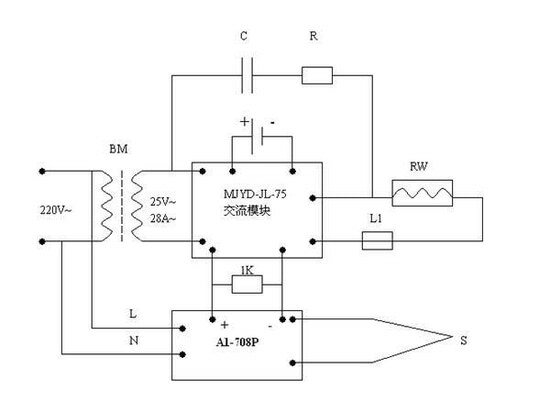 Circuit description: AC power supply is used after step-down of transformer, output voltage is 25V, output current 28A, MJYD-JL-75 is thyristor intelligent module, including thyristor and phase shift control circuit, output maximum voltage is 450V, maximum current is 75A, L1 is Overcurrent protection fuse, RC is an overvoltage protection RC component. RW is an electric furnace wire. 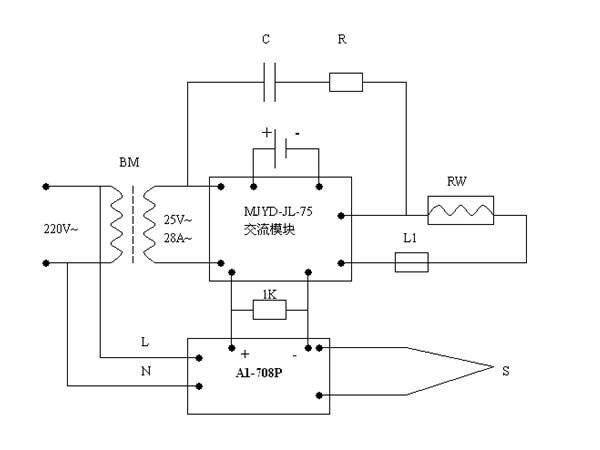 The output of A1-708P is 0-10MA current. After 1K resistor, the output becomes 0-10V DC voltage, which satisfies the input voltage requirement of the thyristor module. The S thermocouple is connected to the rear end of the AI-708P meter via a compensation wire. In the single crystal furnace temperature control system, in addition to the A1-708P instrument is the core components, there are thermocouples, compensation wires, heating furnaces, power regulators and other important components. A thorough understanding of the performance of these components is also important to the proper selection of these components. 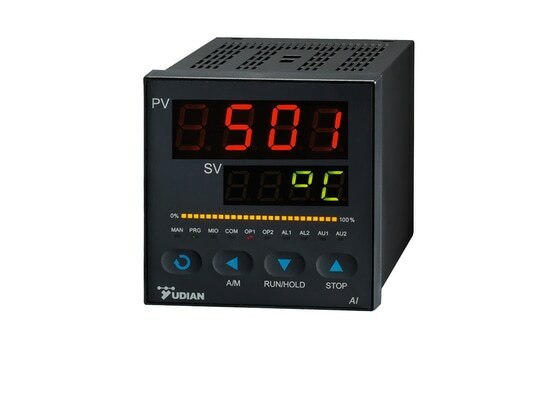 The current temperature instrument, economical and practical type of each hundred yuan, and the basic configuration price of each advanced instrument is several thousand yuan, if you add a few functional modules, the price can be tens of thousands. For a certain process, it is sufficient to use a temperature meter that meets the technical requirements and can operate stably and reliably. It is not necessary to use a more advanced temperature meter. It is scientific to select the type of temperature meter with a performance-price ratio indicator. 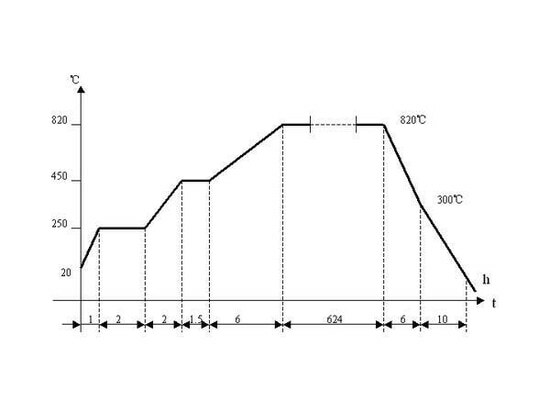 Saving resources and making the best use of it is also the principle of selecting the type of temperature instrument. 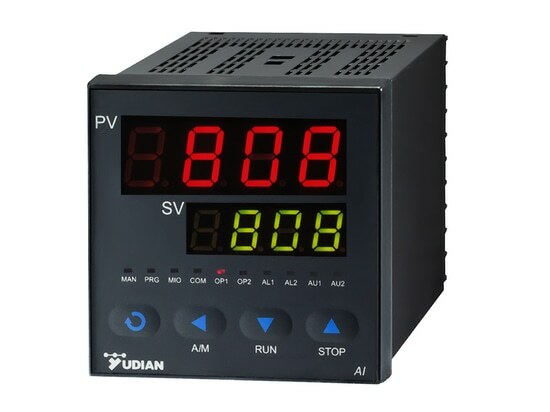 Since the adoption of Yudian AI-708P as the main core control system, the control operation of the cadmium telluride single crystal furnace has been in good condition, and there is still no fault. It can completely replace the imported Continental 818 meter. Regardless of the actual operation situation or the cost performance, the choice of AI-708P can fully meet the requirements. Color: black or gray; Dimension(mm): 96*96, 160*80, 80*160, 72*72, 48*48, 48*96, 96*48, 22.5*100.